In 1907, Glenn Curtiss was a motorcycle manufacturer; seventeen years later, he was a multi-millionaire as the “Father of Naval Aviation” and retired from the airplane business, moved to South Florida and became a land developer. He established the towns of Opa-Locka, Hialeah, and Miami Springs. In 1930, shortly before his death, he formed the Florida Aviation Camp, moving his aviation school there from its Biscayne Bay location. 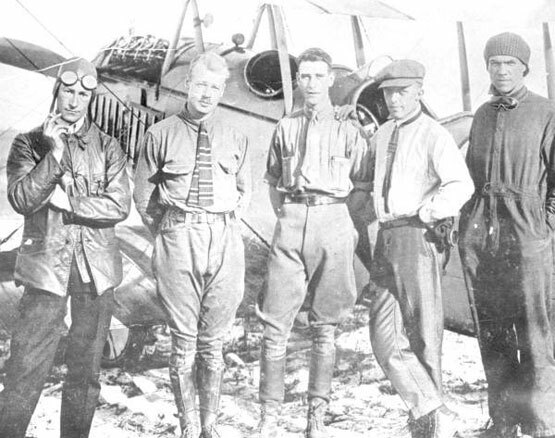 He then donated part of the land for the Miami Municipal Airport, first known as Glenn Curtiss Field, later becoming a part of what is now known as Miami International Airport.